A recent trip to Space NK garnered some great purchases and, as always, a handful of high end samples. This lipstick from Hourglass was one of them. I’ve never tried anything other than the Ambient Light palette from Hourglass and so was keen to see whether this is just as high quality. First off, I don’t really need any more red lipsticks… but this is such a fantastic formula. 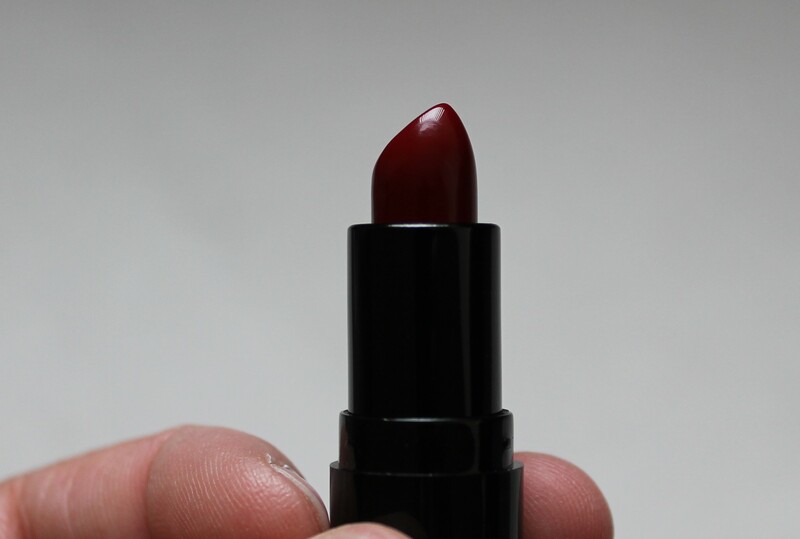 It is so creamy and the lipstick glides over my lips like butter. It feels really moist and during the day stays just as moisturised as when I put it on. 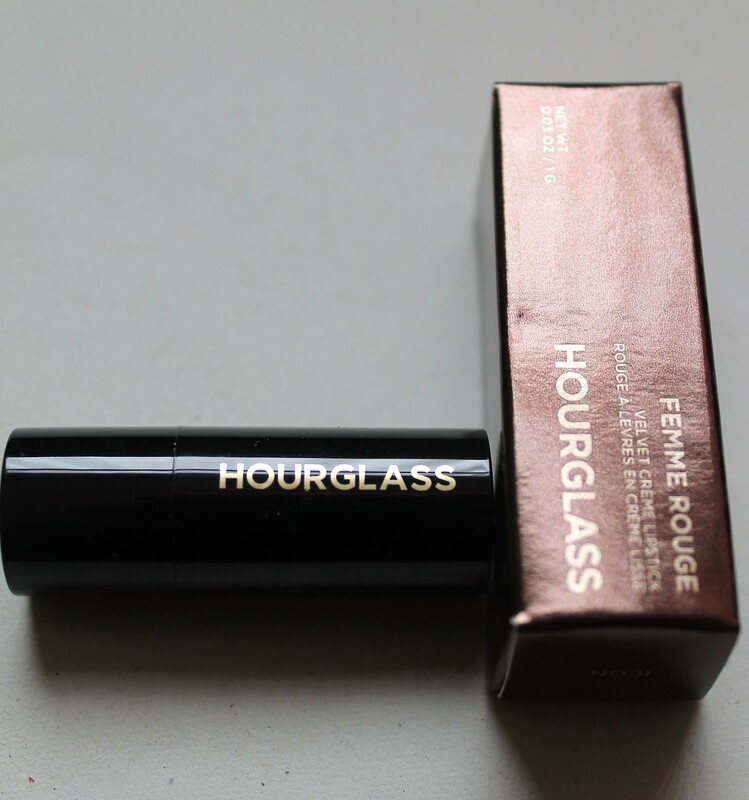 The Hourglass lipsticks are very well pigmented, and one coat gives smooth coverage, two coats give me full cover on my darker upper lip area. The colour itself is a beautiful blue-undertone red shade that makes off-white teeth look whiter – always a bonus! 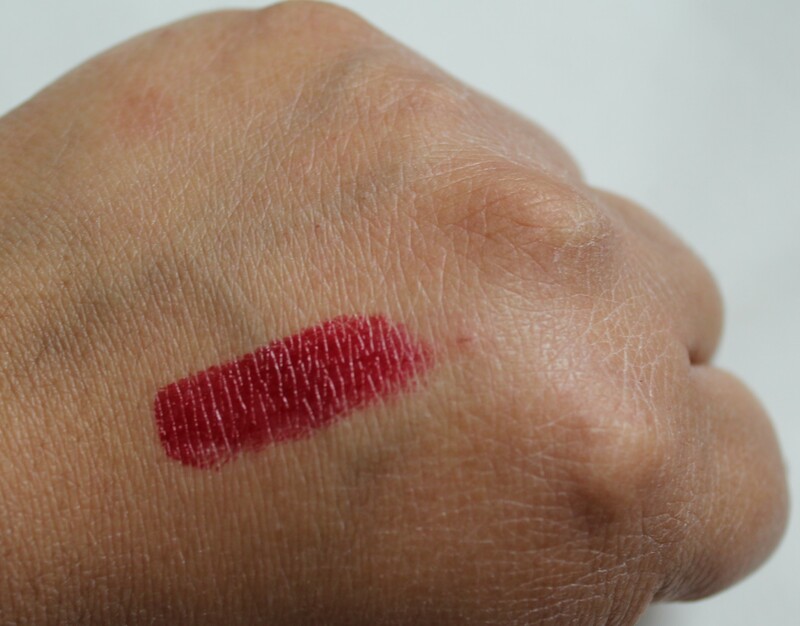 The lipstick is water-resistant and therefore very long-wearing for a creme lipstick. You should really wear such vibrant reds with a lip liner but as soon as I opened it, I couldn’t wait to try it, so I skipped the liner. When I’ve worn the Hourglass Femme Rouge since, I’ve neutralised my lip colour to give a more even finish and I’ve worn with colour matched lip liner. I’ve recently been using a little lipstick trick I picked up from Sam Chapman of Pixiwoo, where you apply a darker mahogany red or brown lip liner to the outer corners only of the lips to give added depth and dimension to the lip shape. This is a beautiful lipstick and I can’t wait to try more from the Hourglass range. Full size available from Space NK, priced at £22. 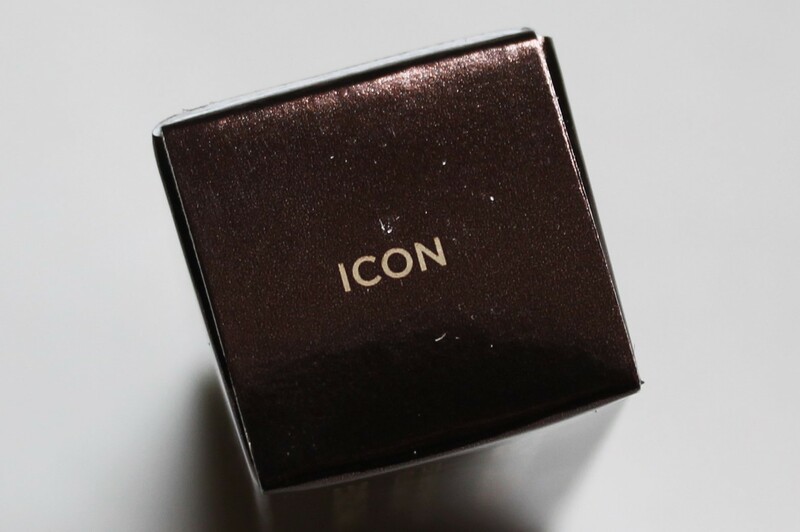 Leave a reply on "Hourglass Femme Rouge lipstick in Icon"